The project will advance the field primarily by expanding the welfare state literature geographically, putting forward a politics-centred explanation for welfare state development in emerging markets and illustrating policy outcomes of contemporary contentious politics. 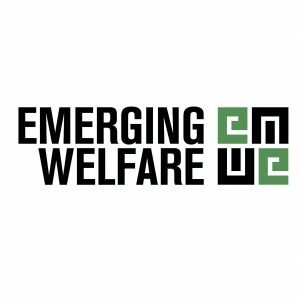 The project will test whether emerging markets are forming a separate welfare regime, and, if so, to what extent this has been caused by grassroots politics, rather than socio-economic structural factors. In short, the project will follow Esping-Andersen’s (1990) original two-step methodology, which was later abandoned by three-world scholars (including EA himself): the first step of data reduction techniques and the second step of establishing historical causation. The first part will be based on statistical cluster analysis and the second on an historical analysis with a research design that will allow for the methodological isolation of political factors. This will be achieved through a multi-method and mixed-method research strategy to conduct historical and cross-national comparisons combining computer-based, novel quantitative and qualitative methods as well as historical, political, scientific and sociological approaches. This interdisciplinary, multi-method, cross-national and historical strategy will be genuinely innovative and radically re-shape existing literatures and challenge the existing paradigms. While analysing long-term trends in social welfare and grassroots politics through cross-national comparisons, temporal and spatial comparisons within the case of each country will be conducted in order to set up correlations between fluctuations in social welfare and grassroots politics, controlling for structural, i.e. demographic and economic factors, followed by an in-depth analysis of existing official documents to transform correlations into causal relations. In few existing studies that link politics and contemporary social welfare, politics have been considered the dependent variable, while changes in welfare policies have been taken as the independent variable. This project looks at the opposite causal direction and shows how spatial and temporal variations in grassroots politics changes welfare policies. -analysis of political and policy reports and parliamentary proceedings (WP4). WP1 will test Hypothesis 1, while WP2, WP3, and WP4 will test Hypothesis 2. The combination of these methods is unprecedented in comparative research and will open up a new horizon for welfare studies.